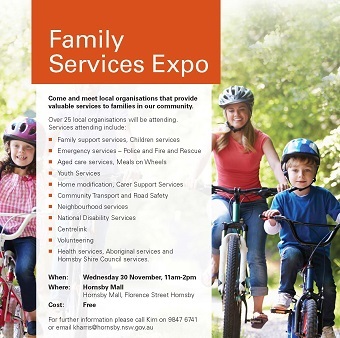 There are over 25 local organisations participating in the Family Services Expo – from emergency services and Meals on Wheels, to carer and family support services. We will also be attending, with information about After Hours health services, aged care and fun activities for kids. Be sure to come and say hello and chat to us about our work in the region. The expo allows people to meet local organisations that provide valuable services to families in the community. Find out how they can assist you with leading a safe healthy lifestyle.